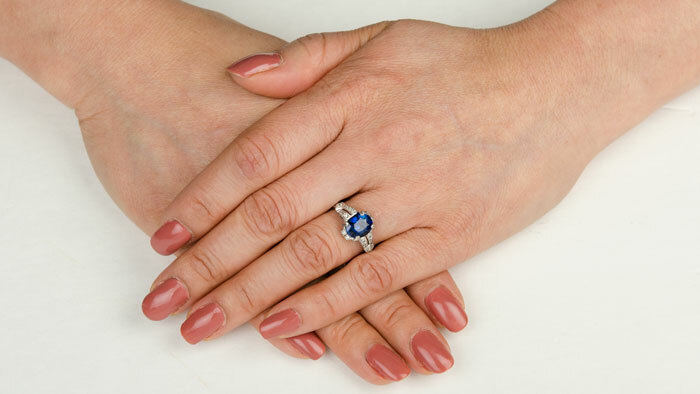 A beautiful Oval Sapphire Engagement Ring, adorned with diamonds, and mounted in a gorgeous setting. 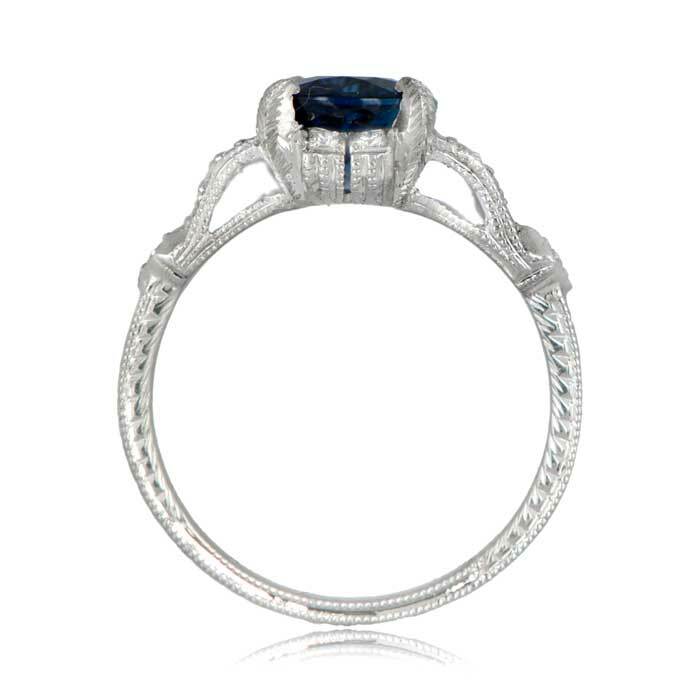 Fine engravings and milgrain decorate the shank and gallery. 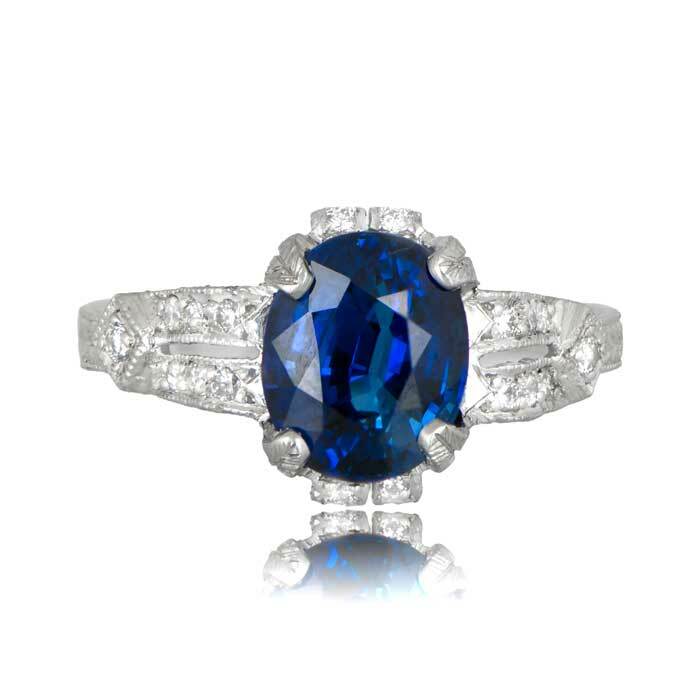 The sapphire weighs approximately 2.95ct. 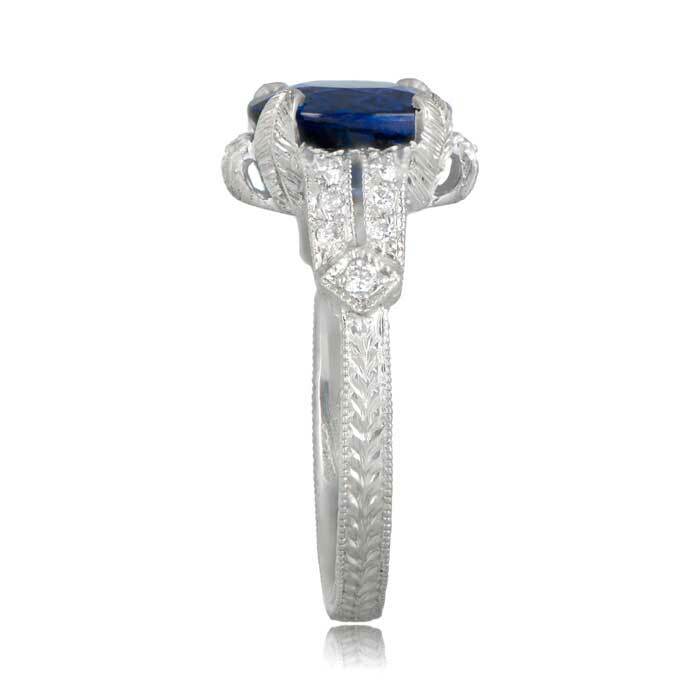 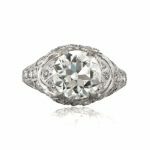 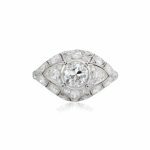 SKU: 11377 Categories: Diamond and Sapphire Engagement Rings, Sapphire Engagement Rings, Vintage Cocktail Rings, Vintage Engagement Rings - Contact us and request additional pictures.